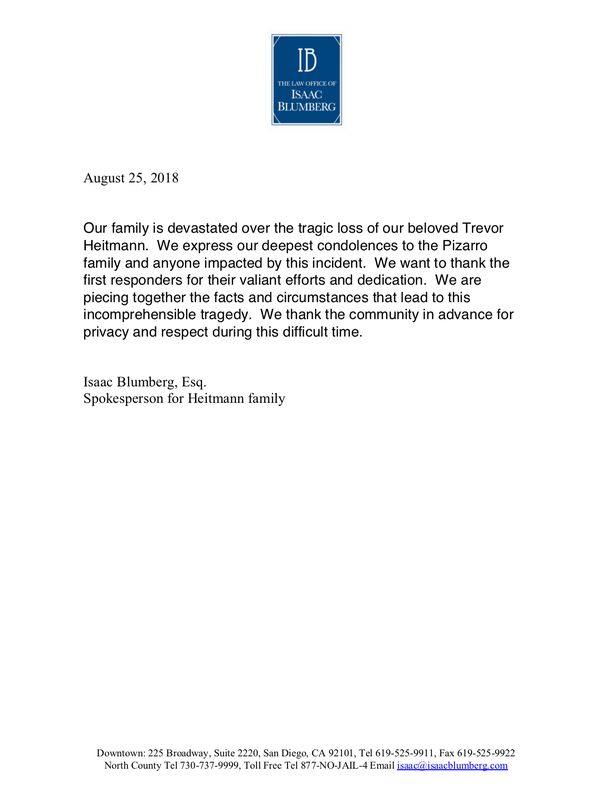 (KGTV) -- The family of Trevor Heitmann, the popular internet personality who drove a sports car into another vehicle killing a mother and her young daughter, say they are devastated and are working to understand what led to Thursday’s tragedy. Heitmann, 18, was behind the wheel of the 2014 sports car that collided with an SUV, killing himself, and a 43-year-old woman and her 12-year-old daughter, according to the San Diego Medical Examiner. Heitmann was traveling at a high rate of speed heading southbound in a northbound HOV lane at about 4:30 p.m. near La Jolla Village Drive before the collision, CHP said. Troopers believe he entered via an HOV lane access at Carol Canyon Road.